Walmart Black Friday Deals are LIVE! 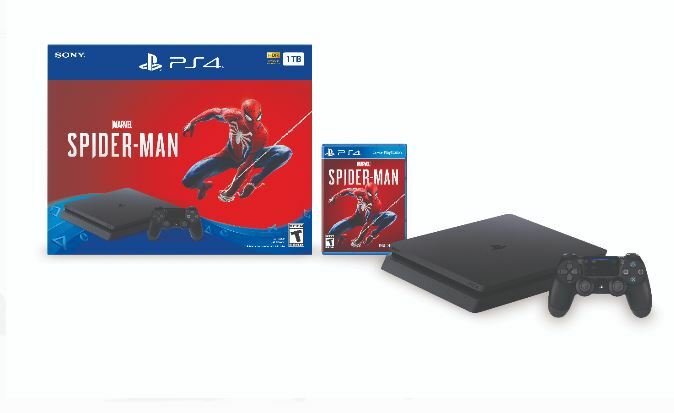 One favorite is the Sony PlayStation 4 Slim 1TB Spiderman Bundle on sale for $199! Marvels Spider-Man PS4 bundle includes a jet black 1TB PS4, matching DUALSHOCK4 wireless controller, and Marvels Spider-Man game. Experience a brand-new and authentic Spider-Man adventure. After eight years behind the mask, Peter Parker is a crime fighting master. Feel the power with improvisational combat, fluid urban traversal, dynamic acrobatics, and environmental interactions.